This is one of the better demos of Wing Chun closed-in fighting and combat trapping. 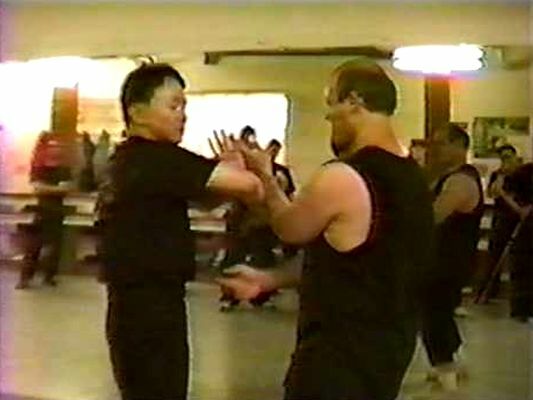 Demonstrated here by Sifu Chung Kwok Chow on Bobbe Edmonds who is a martial arts master in his own right. Towards the second half of the video, Bobbe Edmonds is stunned by a nerve strike, hence the title of the video. Can you see the strike and where it landed?